In the past few years, our homes have become increasingly tech savvy. 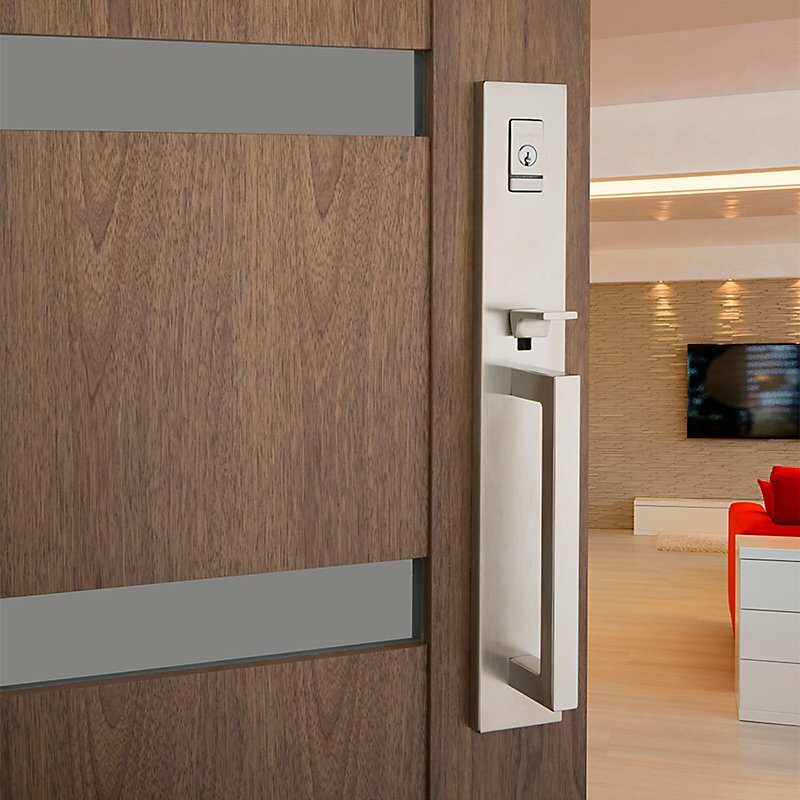 Smart homes and automation are becoming standard in the luxury home industry. With all of the available home technology, customizing your home for your lifestyle has never been easier. But where should you start? We turned to interior designer, Denise Morrison, who specializes in new home construction for her picks on the must-have pieces of technology for your home. One problem I consistently face as an interior designer is the eyesore caused from large TVs in the center of living or family rooms. It is so commonly a point of contention between couples – when one wants a huge, high tech TV, and the other wants to maintain the aesthetic. Finally, the Samsung TV Frame has solved our problem. With this TV you can select from a list of frame options along with art options. You can even upload your own heirloom art. When this is in “art on” mode it looks exactly like a piece of art, not your typical tv screensaver. There are so many reasons people don’t put pools in their backyards. This hydrofloor is here to take away virtually any excuse you have. With one push of the button, the Hydrofloor slowly rises from the floor of the pool to any depth you desire. At its highest level, the Hydrofloor completely covers the pool and blends in with the surrounding floor or patio, and is even safe to walk on. HydroFloor also offers spa options for luxurious jacuzzis. They say the kitchen is the heart of the home, and I consider the refrigerator the heart of the kitchen. This Samsung refrigerator keeps track of when you put food in, and when food expires, it can add food to a shopping list or you can order directly from the refrigerator. 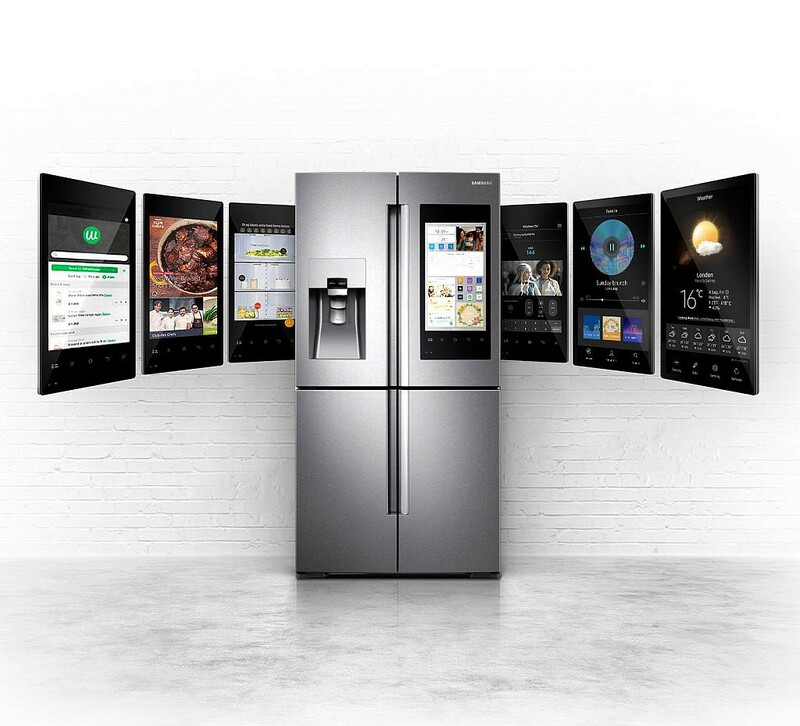 Possibly the best feature is the ability to see inside your refrigerator from anywhere. If you are out getting groceries and wondering “Do I have enough cheese for my soiree tonight?”, you have access the inside of your refrigerator to check. It features a 21.5” wifi screen that can keep track of shopping list, read recipes, keep track of up to 6 calendars, make a list of memos, and so much more. Any product that helps me multitask is helpful for my busy lifestyle. 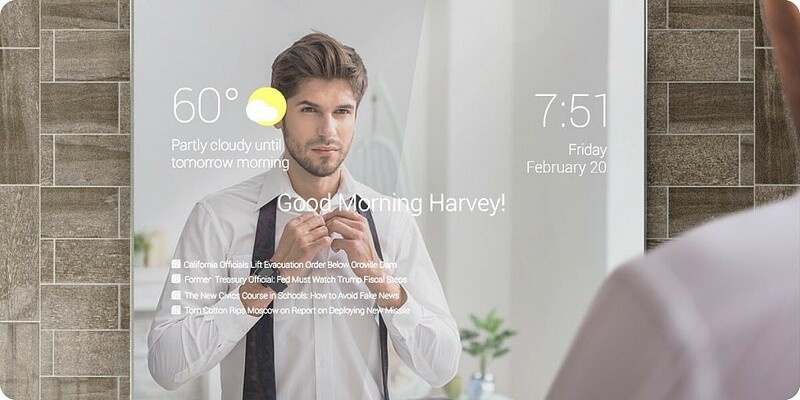 This mirror helps with all of that by keeping track of emails, appointments, weather and so much more by displaying it all through a large mirror display. As technology increases with the Internet of Things, the discerning man will really find use out of something like this to simplify and help move towards his goals each day. This gadget seriously does it all. With a real-time video streaming to your phone, you can always check in on the little ones (or maybe the furry ones) while you’re out of the house. 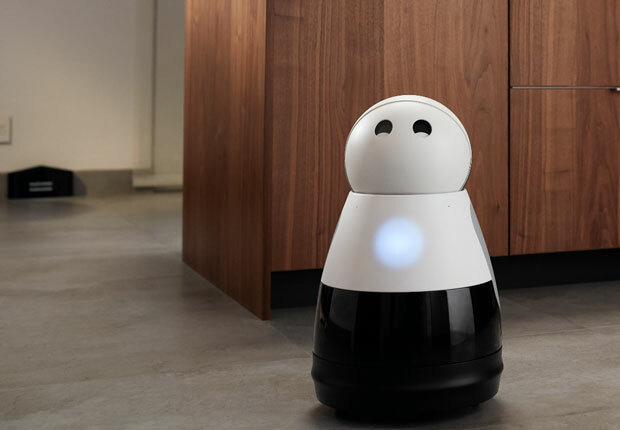 Kuri also learns to autonomously navigate your home, understanding where go-to items are located, and over time begins to recognize your vocal and facial expression to understand your mood. You can’t buy your own Kuri yet, but they are accepting pre-orders for their Spring 2018 release. Gone are the days of leaving the key under the mat with the new Evolved Minneapolis Handleset from Baldwin Hardware. This set solves that problem, through it’s beauty and technology. With this door lock, your phone is your key, which allows you to grant access to specific users and turn off access whenever you’re ready to lock up.